Is Coconut Milk Good for the Bowels? Coconut milk may not be known as a cure-all for better bowels, but it does have some benefits for your digestive system. It's lactose-free, a low-FODMAP milk and a source of fiber. But be careful of the amount you drink because coconut milk is also high in calories and fat. If you're lactose-intolerant, drinking cow's milk may cause diarrhea, abdominal pain, gas and bloating due to its lactose content. Coconut milk is naturally lactose-free and may serve as a good alternative milk to those with lactose intolerance. To get the most benefits, look for coconut milk fortified with calcium and vitamin D.
Fermentable oligo-di-monosaccharides and polyols, also referred to as FODMAPs, are osmotic carbohydrates, which means they pull water into the bowel. Some people have a hard time digesting FODMAP-containing foods, and experience diarrhea, gas, abdominal bloating or constipation. Coconut milk is a low-FODMAP food, which means it may be easier to digest. A low-FODMAP diet is recommended to people with irritable bowel syndrome, a functional gastrointestinal disorder that causes abdominal discomfort and changes in bowel habits. If you're struggling with constipation, getting more fiber in your diet may help. One cup of raw coconut milk has 5 grams of fiber, while the same serving of fortified ready-to-drink coconut milk has 1 gram of fiber. Getting 25 grams to 30 grams of fiber a day may help improve bowel health, according to Mount Sinai Health System, as well as drinking 64 ounces to 100 ounces of liquid such as water. While coconut milk offers a number of benefits to your bowels, its high-calorie content may not. 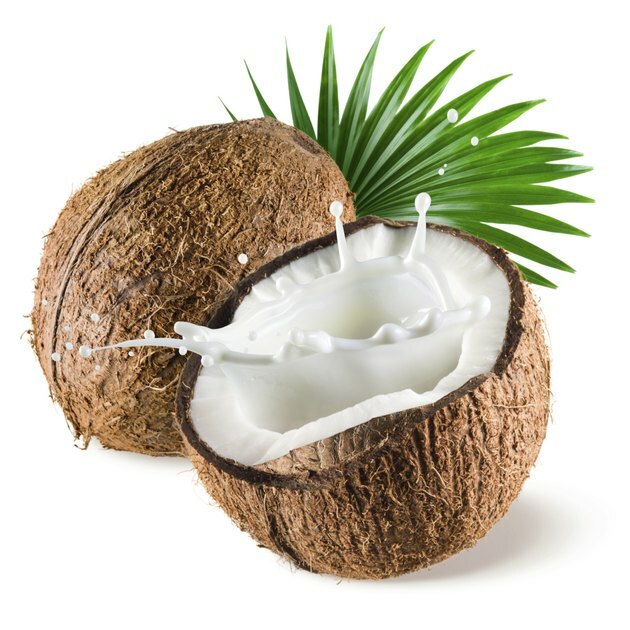 One cup of raw coconut milk has 552 calories. The ready-to-drink version is a better choice, with 70 calories per cup. However, both types of milk are high in saturated fat, with 50 grams in the raw version and 4.5 grams in the ready-to-drink version. High intake of saturated fat is linked to heart disease, and the American Heart Association recommends you limit your overall intake to less than 6 percent of total calories, or 13 grams on a 2,000-calorie diet.